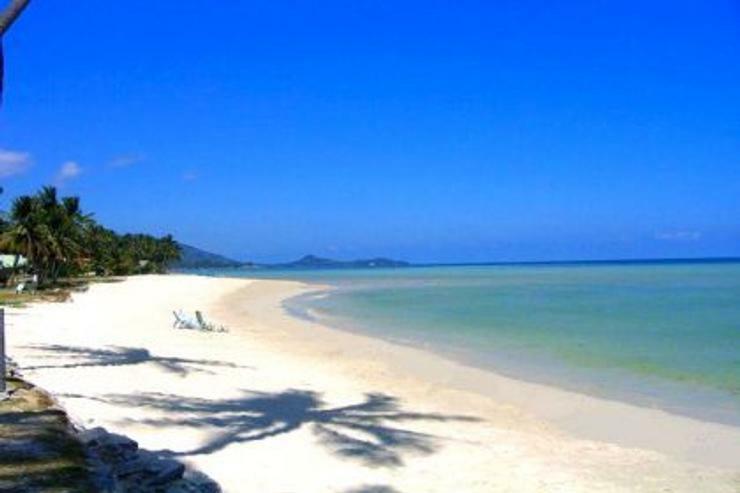 Koh Samui has a tropical climate, with jungle covered mountains, surrounded by beaches all around. The island has many temples to visit, you can also see the traditional Thai lifestyle, to all the western comforts you could wish for - the choice is yours. This area is perfect to have some relaxation, a quiet area but with easy access to all of the Kitesurfing, kayak, fishing trips, boat trips. snorkelling shopping and night-life are all close by. This is the more tranquil part of the island with a quiet sandy beach making it ideal for the perfect family holiday. Just 150 meters away from the Hua Thanon Beach, which is known for its white sand, Baan Chaba is a Koh Samui villa rental that is all about peaceful island living. This retreat is very much inspired by the tropics and has a lush garden and a quiet and relaxing atmosphere. Renting villas in Koh Samui is now the popular means to be satisfied with your Koh Samui accommodation. Baan Chaba has 4 lovely bedrooms and is a convenient place to stay for those who are interested in plenty of beach activities such as kayak and kitesurfing since you won’t need to travel very far to reach the shoreline. The neighborhood is very quiet so you can unwind, relax, and simply enjoy the island vibe. This two-level villa can accommodate 8 people plus 2 more, if necessary. The villa complex has a well tended landscape that is rich in tropical plants and has plenty of shaded areas. For those who are looking for a Koh Samui villa rental for the whole family, Baan Chaba is a recommended option. Swimming pool is common feature of villas in Koh Samui. Baan Chaba also has its own pool, with plenty of lounge chairs. This is perfect for those who are not in the mood or are still too tired to head to the beach. There is an al fresco dining area near the pool, which is a feature also often offered by Koh Samui villas. A BBQ machine is also available just nearby. The open living area leads to the pool deck and features a couch which has space for 10 people. Garden and pool views can be seen from here. The main dining area has views of the pool as well, and has chairs for 10 diners. The kitchen is fully equipped and has a breakfast bar. All the utensils and cooking appliances that you’ll need are here so meal preparation is easy. There is a fridge, multi-burner stove, and a roomy counter as well. The bedrooms have comfortable beds and are all air conditioned. All these rooms also feature a shower and bath. Massages and spa services can be availed on site, so your vacation can be as relaxing as you’d want it to be. This Koh Samui villa rental is truly a dream vacation home. You will absolutely love it. * Baby cot and highchair if needed. 30% on the day of booking, 70% remaining 60 days before day of arrival. -If cancelled or modified up to 30 days before date of arrival, 50% of the total price will be charged. Special note: This page was about Baan Chaba - Lamai beach, Koh Samui. All of our websites involve Holiday rentals in Asia. So please browse our holiday villa websites for more great deals and special offers.